This article is about the 2000 compilation album. For the 1983 compilation album, see The Number Ones. For the 1963 EP, see The Beatles (No. 1). 1 is a compilation album by the English rock band the Beatles, originally released on 13 November 2000. The album features virtually every number-one single the band achieved in the United Kingdom and United States from 1962 to 1970. Issued on the 30th anniversary of the band's break-up, it was their first compilation available on only one CD. 1 was a commercial success and topped the charts worldwide. It has sold over 31 million copies. In addition, 1 is the fourth best-selling album in the US since Nielsen SoundScan began tracking US album sales in January 1991 and the best-selling album of the decade (2000 to 2009) in the US, as well as the best-selling album of the decade worldwide. 1 was remastered and reissued in September 2011, and was remixed and reissued again in several different deluxe editions in November 2015, the most comprehensive of which is a three-disc set entitled 1+, which includes video discs of the band's music videos. As of June 2015, 1 is the sixth best-selling album of the 21st century in the UK, having sold over 3.1 million copies. Compiled by producer George Martin and the (then) three surviving members of the band, 1 includes the 27 Beatles songs that went to number one in the United Kingdom on the Record Retailer Top 50 chart or in the United States on the Billboard Hot 100 chart. It is worth noting, however, that the song "For You Blue" was listed on Billboard chart at number 1, along with the A-side "The Long and Winding Road", but Capitol Records treated "For You Blue" as strictly a B-side and did not promote it as an A-side. Meanwhile, "Day Tripper" was included on 1, since it charted at number 1 in the UK as a double A side with "We Can Work It Out", while in the US, only "We Can Work It Out" was number 1. Two notable singles released in both the UK and US that did not reach number 1 in either country, and were therefore ineligible for inclusion on the album, were "Please Please Me" and "Strawberry Fields Forever" (both reached number 2 in the UK charts, while in the US the former peaked at number 3, and the latter at number 8). The former was largely known as "The Beatles' first UK number one single"; however, it reached the top spot in the musical magazines New Musical Express and Melody Maker but not on the chart published by Record Retailer (now Music Week). On the other hand, "Strawberry Fields Forever" was part of a double A-side single along with "Penny Lane". This single had peaked at number 2 in the charts, behind Engelbert Humperdinck's single "Release Me". This album is essentially a combination of both the US and UK versions of the earlier album 20 Greatest Hits, with the addition of "Something" (which was left off 20 Greatest Hits because of time constraints). On 1, "Hey Jude" was released in its original full-length version (slightly over seven minutes); on the American version of 20 Greatest Hits it had been released as a shortened version. Before 1, all 27 songs were available mainly in two remastered CD versions. First on the respective Beatles albums released in 1987 (as well as Past Masters, Volume One and Past Masters, Volume Two, released in 1988). The second remastering was made available on the CD versions for 1962–1966 and 1967–1970 (released in 1993). The package of 1 was intended to be simplistic and ambitious at the same time. 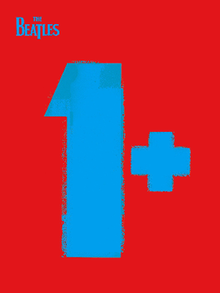 Its cover was designed by Rick Ward, and consists of a pop-art yellow number one on a red background. The emphasis on the 1 digit was used on many of the compilations of number-one hits by different artists that followed this album; for example, ELV1S by Elvis Presley or Number Ones by the Bee Gees. The album's back cover features the famous photos of the Beatles taken by Richard Avedon and copyrighted on 17 August 1967. The design exclusively uses variations of the Helvetica typeface. 1 was released worldwide in CD and cassette. The vinyl format was released in only the United Kingdom. The CD includes a 32-page booklet with a coloured page with international picture covers (a total of 163 covers are displayed on the whole booklet) and details (recording date, location, release date, chart stats) for each of the singles. It also includes on its first two pages a collage with 27 1s in different colours (all of them following the same art as the cover) with the sentence "27 No. 1 singles = 1" (which was used as a catch phrase for the promo ads for the album), and a foreword by George Martin. The LP and cassette keep the main art of the CD version, but in a different form. The double vinyl record version was not released in the US, but the imported British edition was available. The vinyl version features a large full-colour fold-out poster showing 126 picture sleeves (37 fewer than on the CD), and reproductions of the four Richard Avedon photos. The Avedon portraits also appear on the inside of the gate-fold cover. The records have custom labels featuring the same graphics as the front cover and are packaged in custom inner sleeves. The deluxe packaging of the vinyl album, with its four portraits and poster, is reminiscent to that of their titular 1968 album. The cassette included a 20-page insert, including the collage, the George Martin commentary and paged Avedon's portraits on its inlay and the whole description for the tracks as a total of 36 covers on its inlay reverse. On 6 November 2015, Apple Records released a deluxe version of the original album, titled 1+. Most of the tracks on 1 have been remixed from the original multi-track masters by Giles Martin, except the first three tracks, which are the original mono mixes. In addition to the new mixes, there are surround sound 5.1 mixes presented as Dolby TrueHD and DTS-HD Master Audio in the Blu-ray version and Dolby Digital and DTS in the DVD version. 1+ also includes 50 promotional films/performances, plus commentary and introductions from Paul McCartney and Ringo Starr. All the videos have been digitally restored and enhanced. They are available on DVD and Blu-ray. Variations of 1/1+ include standard CD, CD/DVD, CD/Blu-ray, CD/2DVD, CD/2Blu-ray. The double-disc video editions also feature a 124-page hard-bound book with illustrations. The DVD/Blu-ray video editions are also available as a stand-alone package. 1 received universal acclaim. Stephen Thomas Erlewine of AllMusic gave the album five stars out of five. He stated that there is "no question that this is all great music", although to him "there's really no reason for anyone who owns all the records to get this too". 1 would go on to inspire the release of a wave of compilation albums, in particular three other "number ones" albums – Elvis Presley's ELV1S (2002), Michael Jackson's Number Ones (2003) and the Bee Gees' Number Ones (2004). Other compilations issued in its wake included Pink Floyd's 2-CD retrospective Echoes: The Best of Pink Floyd, Nirvana's Nirvana (2002), The Rolling Stones' Forty Licks (2002), The Who's The Ultimate Collection (2002), and Dean Martin's Dino: The Essential Dean Martin (2004). The reception of 1 surpassed all critical and commercial expectations. It reached number 1 in over 35 countries, achieving the record for the album debuting at the top of the most national charts ever. It became the highest-selling of 2000 and, some time later, of the entire decade. This achievement made the Beatles the first and only artist to have the best-selling albums of two different decades. They also had the best-selling album of the 1960s, Sgt. Pepper's Lonely Hearts Club Band. No tracks from Sgt. Pepper appear on this album. 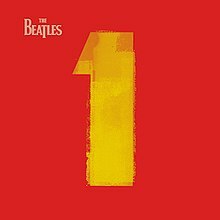 With this album, the Beatles also achieved having an album hit the number 1 position in the US in four non-consecutive decades (1960s, 1970s, 1990s and 2000s). In the United Kingdom, 1 became the Beatles' 15th number 1 album with sales of 319,126 copies (achieving record sales for only one week in 2000). On 18 December 2000, Ananova.com reported that the album has "become 2000's biggest-selling album—in only five weeks." 1 was the first album to stay at the top spot for nine weeks in almost ten years (the last being the Eurythmics's Greatest Hits), the best-selling album of 2000, and the fourth best-selling album of the 2000s so far in the UK. In its eleventh week, 1 sold a total of two million copies in the UK. It spent a total of 46 weeks inside the Top 75. In July 2013 it was certified 10× platinum by the BPI, for over 3 million copies sold in the UK. It is the 21st best-selling album in the UK—according to an assessment by the Official Charts Company and the British Phonographic Industry that counted album sales in the UK from 28 July 1956 to the present day—, and the second best-selling Beatles album in that country (only beaten by Sgt. Pepper's Lonely Hearts Club Band, which is the UK's third best-selling album). As of July 2016, the album has sold over 3,230,000 copies in the UK. In the United States, the response was similar. 1 debuted at number one on the Billboard 200 during the week of 2 December 2000 with sales totaling over 595,500 copies. In its second week, sales increased to 662,000 but it was knocked off the top spot by Backstreet Boys' Black & Blue which sold 1.59 million units, therefore, 1 fell off to number two on its week on chart. The following week it stayed at number two selling 607,000 units, by doing so, the album became the sixth to debut at the top of the Billboard 200 and post a SoundScan increase in its second week and the first to do so after opening with a sum of more than half a million copies. During the week of 23 December 2000, its fourth week on chart, 1 moved 671,000 copies and returned to the top of the Billboard 200. The next week, on 30 December 2000 it stayed at the top of the chart selling 823,500 copies. On 10 February 2001, after being the number one album for eight non consecutive weeks, 1 fell off to number four on the Billboard 200 with 173,500 units sold, a 19.5% dip in sales, by the time this happened the album had sold almost six millions units. The album spent a total of eight weeks at number 1 and sold 1,258,667 copies during the week before Christmas of 2000. With this number, the Beatles achieved a new record: it was the seventh highest one-week sales in Soundscan history, the highest for an album not in its first week of sales, and the highest for an album comprising previously released music. The album spent 309 weeks inside the Billboard 200 and was the sixth best-selling album in the United States in 2000 with 5,100,000 copies sold according to Nielsen SoundScan. On 30 August 2011 the band announced through their Facebook account that the album was available to pre-order from iTunes and that it was digitally remastered. On 24 September 2011, after the album made its digital debut in the iTunes Store it re-entered on the Billboard 200 at number four selling 60,000 units, it also topped the iTunes album charts in the US, Canada, Japan, the Netherlands, Mexico, Switzerland, Spain, New Zealand and Greece according to a Capitol/EMI press release . Its digital launch on the iTunes Store was accompanied with a price of $9.99 and a Twitter camping with the hashtag #MyBeatles1 asking their fans: What is your favorite "1" track? Resulting in many celebrities and stars posting their favorites, too. In 2015, after it was remastered again and remixed by Giles Martin, 1 re-entered on the Billboard 200 at number six selling 40,000 units. It was certified eleven times platinum by the RIAA on 8 March 2010 denoting shipments of eleven million units, and 1 is included on the list of the Top 100 Albums by the Recording Industry Association of America. The album is the best-selling album of the 21st century in the US and the fourth best-selling album in the Soundscan era (1991–present). As of February 2014, the album has had sold 12,410,000 copies in the US. In the US, the album secured the Beatles a fourth decade in which they placed an album at number 1 on the Billboard chart. In Canada, 1 debuted at number 1 on the Canadian Albums Chart, selling 54,668 copies in its first week. The album was certified Diamond (1,000,000 units) by the CRIA in February 2001, just four months after its release. As of 2009, 1 has sold 1,103,000 units in Canada, making it the fifth best-selling album ever in Canada of the Nielsen SoundScan era. In Germany, 1 debuted at number 1 and managed to stay there nine non-consecutive weeks. Though this, it stayed only seventeen weeks in the top ten of the German Albums Chart, but fifty weeks in the total chart. By selling 1,650,000 copies and reaching 11× Gold, it's the third best-selling album of the decade 2000–2009 and the best-selling non-German language album. In 2009, Apple Corps, the Beatles' company, stated that worldwide sales of 1 had exceeded 31 million copies. Worldwide in 2000 the album sold 13.8 million copies, with 2 million or more copies sold during 2 consecutive weeks, and was the fourth best-selling album behind Eminem's The Marshall Mathers LP, Britney Spears' Oops!... I Did It Again, and Santana's Supernatural. All songs written by Lennon–McCartney, except "Something" by George Harrison, and those others as noted on the second DVD. All tracks produced by George Martin except "The Long and Winding Road" re-produced for disc by Phil Spector. CD tracks 1–3 are in mono; all others on CD are in stereo. Released in the UK on 5 October 1962, and in the U.S. on 27 April 1964. Reached No. 1 in the U.S. for one week on 30 May 1964. This is the version released in the U.S. with Ringo Starr on tambourine and session musician Andy White on drums. First included on Introducing... The Beatles (1964) and Please Please Me (1963), depending on the territory. The DVD/BD track is from The Little Theatre, Southport, Merseyside, England, 27 August 1963 recorded for the BBC documentary The Mersey Sound; it aired on 9 October. Released in the UK on 11 April 1963, and in the U.S. on 27 May. Reached No. 1 in the UK for seven weeks on 2 May 1963. First included on The Beatles/1962-1966 (1973) and A Collection of Beatles Oldies (1966), depending on the territory. The DVD/BD track is from the Royal Variety Performance, Prince of Wales Theatre, London, England, 4 November 1963, aired on 10 November. Released in the UK on 23 August 1963, and in the U.S. on 16 September. Reached No. 1 in the UK for four weeks on 14 September 1963, then again for two weeks on 28 November. Reached No. 1 in the U.S. for two weeks on 21 March 1964. First included on The Beatles' Second Album (1964) and A Collection of Beatles Oldies, depending on the territory. The DVD/BD track is from the Swedish television pop music show Drop In, recorded 30 October 1963, aired 3 November. Released in the UK on 29 November 1963, and in the U.S. on 26 December. Reached No. 1 in the UK for five weeks on 21 December, and for another week on 16 May 1964. Reached No. 1 in the U.S. for seven weeks on 1 February 1964. First included on Meet the Beatles! (1964) and A Collection of Beatles Oldies (1966), depending on the territory. The DVD/BD track is from Studio Four, Granada TV Centre, Manchester, England, 25 November 1963 filmed for Late Scene Extra, aired two days later. Released in the U.S. on 16 March 1964, and in the UK on 20 March. Reached No. 1 in the UK for three weeks on 2 April 1964, and in the U.S. for five weeks on 4 April. First included on respective territorial versions of A Hard Day's Night (1964). The DVD/BD track is from the Beatles' television special Around the Beatles, music recorded on 19 April 1964, performed lip-synched on 28 April (at Studio 5 A/B, Wembley Studios, London, England), and aired on Rediffusion 6 May. Released in the UK on 10 July 1964, and in the U.S. on 13 July. Reached No. 1 in the UK for three weeks on 23 July 1964, and in the U.S. for two weeks on 1 August. First included on respective territorial versions of A Hard Day's Night (1964). The DVD/BD track is from the Palais des Sports, Paris, France, 20 June 1965, recorded/filmed for a 31 October broadcast of Les Beatles. Released in the U.S. on 23 November 1964, and in the UK on 27 November. Reached No. 1 in the UK for five weeks on 10 December 1964, and in the U.S. for three weeks on 26 December. First included on Beatles '65 (1964) and A Collection of Beatles Oldies, depending on the territory. The DVD/BD track is a promo video filmed at the Twickenham Film Studios, Middlesex, England, 23 November 1965. Released in the U.S. on 15 February 1965, where it reached No. 1 for two weeks on 13 March. First included on Beatles VI (1965) and Beatles for Sale (1964), depending on the territory. The DVD/BD track is a montage of footage of their famous concert at Shea Stadium, New York City, New York, 15 August 1965. Released in the UK on 9 April 1965, and in the U.S. on 19 April. Reached No. 1 in the UK for three weeks on 22 April 1965, and in the U.S. for one week on 22 May. First included on respective territorial versions of Help! (1965). The DVD/BD track is a promo video filmed at Twickenham Film Studios, Middlesex, England, 23 November 1965. Released in the U.S. on 19 July 1965, and in the UK on 23 July. Reached No. 1 in the UK for three weeks on 5 August 1965, and in the U.S. for three weeks on 4 September. First included on respective territorial versions of Help!. Released in the U.S. on 13 September 1965, where it reached No. 1 for four weeks on 9 October. First included on Help! and Yesterday and Today (1966), depending on the territory. The DVD/BD track is from The Ed Sullivan Show, recorded 14 August 1965, aired 12 September. Released in the UK on 3 December 1965, and in the U.S. on 6 December. Reached No. 1 in the UK for five weeks on 16 December 1965. A tape drop-out that appears in previous stereo releases of this song has been corrected here. First included on the albums Yesterday and Today and A Collection of Beatles Oldies, depending on the territory. Released in the UK on 3 December 1965, and in the U.S. on 6 December. Reached No. 1 in the UK for five weeks on 16 December 1965, and in the U.S. for two weeks on 8 January 1966, and for another week on 29 January. First included on the 1966 albums Yesterday and Today and A Collection of Beatles Oldies, depending on the territory. Released in the U.S. on 30 May 1966, and in the UK on 10 June. Reached No. 1 in the UK for two weeks on 23 June 1966, and in the U.S. for one week on 25 June, and for another week on 9 July. First included on A Collection of Beatles Oldies and Hey Jude (1970), depending on the territory. The DVD/BD is a promo video filmed in colour at Chiswick House, Chiswick, London, England, 20 May 1966; later aired in black and white on Top of the Pops. Released in the UK on 5 August 1966, and in the U.S. on 8 August. Reached No. 1 in the UK for four weeks on 18 August 1966. First included on respective territorial versions of Revolver (1966). The DVD/BD track is montage of footage from the animated film Yellow Submarine (1968). Released in the UK on 5 August 1966, and in the U.S. on 8 August. Reached No. 1 in the UK for four weeks on 18 August 1966, as part of a double-A-sided single with "Yellow Submarine". First included on respective territorial versions of Revolver. The DVD/BD track is a sequence originally found as a part of Yellow Submarine. Released in the U.S. on 13 February 1967, and in the UK on 17 February. Reached No. 1 in the U.S. for one week on 18 March 1967. First included on the U.S. release of Magical Mystery Tour (1967). The DVD/BD track is a promo video filmed on 5 & 7 February 1967 in England (Stratford, London; Knole Park, Sevenoaks, Kent; Liverpool (non-Beatles footage)); later aired on Juke Box Jury, Top of the Pops (both from the BBC), and The Hollywood Palace (in the U.S.). Released in the UK on 7 July 1967, and in the U.S. on 17 July. Reached No. 1 in the UK for three weeks on 19 July 1967, and in the U.S. for one week on 19 August. First included on the U.S. release of Magical Mystery Tour. The DVD/BD track is a live broadcast from Studio One, Abbey Road Studios, London, England, 25 June 1967 for the Our World special. The pre-recorded backing track was done on 14 June as the orchestra, vocals, drums, bass, and guitar solo were recorded and filmed live in the studio. Famous guests who appeared included Mick Jagger and Keith Richards (of The Rolling Stones), Eric Clapton, Keith Moon of The Who, Graham Nash of The Hollies, Mike McGear (McCartney's brother), and Gary Walker of The Walker Brothers. The orchestra can be heard playing Bach's Brandenburg Concerto and the traditional song "Greensleeves" (which Martin was paid £15 for) during the extended fade-out in the 6-minute broadcast. Released in the UK on 24 November 1967, and in the U.S. on 27 November. Reached No. 1 in the UK for seven weeks on 6 December 1967, and in the U.S. for three weeks on 30 December. First included on Magical Mystery Tour. The DVD/BD track is a promo video filmed at the Saville Theatre, London, England, 10 November 1967 featuring The Beatles in their Sgt. Pepper outfits (unlike the other two videos found on the disc). It later aired on the Sunday 26 November episode of The Ed Sullivan Show and The Hollywood Palace two days later. Due to the Musicians' Union's ban on miming during performances in the UK, the video was replaced by a montage of shots from the film A Hard Day's Night (1964) for 23 November broadcast of Top of the Pops and the film Magical Mystery Tour (1967) two weeks later. Released in the UK on 15 March 1968, and in the U.S. on 18 March. Reached No. 1 in the UK for two weeks on 27 March 1968. First included on Hey Jude. The DVD/BD track is a promo video filmed in Studio Three, Abbey Road Studios, London, England, 11 February 1968 and at Chappell Studios, London, England three days later. It included shots of the band recording "Hey Bulldog" (with its accompanying video found on the second disc). Released in the U.S. on 26 August 1968, and in the UK on 30 August. Reached No. 1 in the UK for two weeks on 11 September 1968, and in the U.S. for a record nine weeks on 28 September. First included on Hey Jude. The DVD/BD track is a promotional recording made on 4 September 1968 at Twickenham Film Studios, Middlesex, England, with live vocal from McCartney. It later aired on Frost on Sunday (by David Frost) on 6 October 1968, and a month later on The Smothers Brothers Comedy Hour. Released in the UK on 11 April 1969, and in the U.S. on 5 May. Reached No. 1 in the UK for six weeks on 23 April 1969, and in the U.S. for five weeks on 24 May. While a different version was included on Let It Be (1970), this version was first included on The Beatles/1967-1970 (1973). The DVD/BD track is a promo video featuring filmed footage at the famous Apple rooftop concert in Saville Row, Mayfair, London, England, 30 January 1969. Edits and mash-ups of the three times they played the song were done by Apple Films for later broadcasts such as Top of the Pops. Released in the UK on 30 May 1969, and in the U.S. on 4 June. Reached No. 1 in the UK for three weeks on 11 June 1969. First included on Hey Jude. The DVD/BD track is a promo video created by Apple Films with outtakes from the film Let It Be (1970) and footage shot at places like London, Paris, Amsterdam, and Vienna. Released in the U.S. on 6 October 1969, and in the UK on 31 October. Reached No. 1 in the U.S. for one week on 29 November 1969. First included on Abbey Road (1969). The DVD/BD track is an Apple-produced promo video filmed in October 1969 featuring the four Beatles and their wives at Tittenhurst Park, Ascot, Berkshire, England (the Lennons); "Kinfauns", Esher, Surrey, England (the Harrisons); "Brookfield", Elstead, Surrey (the Starkeys); and Mull of Kintyre, Scotland (the McCartneys). Released in the U.S. on 6 October 1969, and in the UK on 31 October. As the B-side of a double-A-sided single with "Something", it reached No. 1 in the U.S. for one week on 29 November 1969. First included on Abbey Road. The DVD/BD track is a multimedia clip created by Melon Dezign for the launch of The Beatles' official website, which was done to celebrate the original release of 1. Released in the UK on 6 March 1970, and in the U.S. on 11 March. Reached No. 1 in the U.S. for two weeks on 11 April 1970. While a different version was included on Let It Be (1970), this version was first included on The Beatles/1967-1970. The DVD/BD track is from the film Let It Be being synced with the single version for promotional release. It was of the recording sessions for said song at Apple Studio, Saville Row, London, England, 31 January 1969, a day after the Apple rooftop concert. Released in the U.S. on 11 May 1970, where it reached No. 1 for two weeks on 13 June. First included on Let It Be. The DVD track is from the film Let It Be, with footage being used from the same recording sessions as "Let It Be". The only exception with both videos is that the audio from the sessions was used in this video instead of the one for "Let It Be". Recorded at Studio Four, Granada TV Centre, Manchester, England, 14 August 1963 as a part of Scene at 6.30. From The Ed Sullivan Show, recorded 9 February 1964 (at Studio 50, New York City, New York), aired 23 February. Alternate promotional film. Filmed at Twickenham Film Studios, Middlesex, England, 23 November 1965. Lip-synching filmed for the television special The Music of Lennon and McCartney (done at Granada TV Centre, Manchester, England, 1–2 November 1965), aired 16 December 1965 in London, 17 December in the rest of Britain. Alternate promotional film. Filmed at Studio One, Abbey Road Studios, London, England, 19 May 1966. Promo video filmed in colour at Chiswick House, Chiswick, London, England, 20 May 1966; later aired in black and white on Top of the Pops. Alternate promotional film. Filmed at Studio One, Abbey Road Studios, London, England, 19 May 1966; later aired in black and white on Ready Steady Go! on 3 June. Promo video filmed at Knole Park, Sevenoaks, Kent, 30–31 January 1967; later aired as an audio-only clip on Juke Box Jury and in its entirety on Top of the Pops. "Within You Without You/Tomorrow Never Knows"
Promo video filmed at Studio One, Abbey Road Studios, London, England, 10 February 1967 during the recording sessions of said song who included the orchestra with their wacky costumes Mick Jagger and Keith Richards of The Rolling Stones, which provided the inspiration for the live broadcast for "All You Need Is Love". Alternate promotional film. Promo video filmed at Saville Theatre, London, England, 10 November 1967; featured The Beatles in "street clothes". Third version promotional film. Promo video filmed at Saville Theatre, London, England, 10 November 1967; combination of the previous two videos along with additional footage. Alternate promotional recording made on 4 September 1968, with live vocal from McCartney; the audio differences from the version on the first disc are the introduction of the song and McCartney's live vocal. Promotional recording made on 4 September 1968 at Twickenham Film Studios, Middlesex, England, with live vocals (and the backing track in mono); later aired on Top of the Pops on 19 September and The Smothers Brothers Comedy Hour on 13 October, both in black and white. Audio track from the album Let It Be... Naked, an edit of two of the Apple headquarters rooftop performances on 30 January 1969 at Saville Row, London, England. Filmed for the premiere (and aired as a part) of the documentary The Beatles Anthology on 19 November 1995. Filmed originally for The Beatles Anthology but later used as a part of the 2003 DVD reissue of the documentary; a different video was used for the second installment of the documentary on 22 November 1995. Each of the four sides of the vinyl represented appropriately different styles and phases of The Beatles' career: in order, Beatlemania's Mersey Beat, folk-rock/pre-psychedelic style, purely experimental/psychedelic style, back-to-basics/rock style. This was apparently a coincidence, considering that the songs are distributed on the sides following a balance-time rule. (The cassette edition comprises the first two vinyl sides on its side A and the last two vinyl sides on its side B, with a length of 38:32 and 40:35 respectively). Paul McCartney: vocals, bass, piano, guitars, drums on "The Ballad of John and Yoko"
George Harrison: guitars, backing vocals, lead vocals on "Something"
Ringo Starr: drums, percussion, tambourine on "Love Me Do", lead vocals on "Yellow Submarine", backing vocals on "Hey Jude"
George Martin: piano on "A Hard Day's Night" and "Penny Lane"
Mal Evans: bass drum on "Yellow Submarine"
Billy Preston: organ on "Let It Be", "Something", electric piano on "Get Back", "The Long and Winding Road"
Andy White: drums on "Love Me Do"
^ a b Lewis, Randy (8 April 2009). "Beatles' catalog will be reissued Sept. 9 in remastered versions". Los Angeles Times. Archived from the original on 11 April 2009. Retrieved 2 May 2009. ^ Lamb, Bill (10 December 2009). "Nielsen SoundScan Lists Top Selling Albums and Digital Songs of the Decade". About.com. Archived from the original on 16 March 2012. Retrieved 10 March 2010. ^ Copsey, Rob (9 June 2015). "Official Biggest Selling Albums of the decade so far revealed". Official Charts Company. Retrieved 16 November 2015. ^ Reiff, Corbin (13 November 2015). "How the Beatles Compiled Their Biggest Hits On '1'". Ultimate Classic Rock. Retrieved 28 November 2017. ^ Nielsen Business Media, Inc. (20 June 1970). Billboard. Nielsen Business Media, Inc. pp. 60–. ISSN 0006-2510. Retrieved 29 May 2011. ^ a b c Renner Brown, Eric (11 November 2015). "Giles Martin details the Beatles' remasters that make you 'feel closer to the band than you ever did before'". Entertainment Weekly. Retrieved 2 April 2018. ^ a b "The Beatles – 1 (Cassette)". Discogs.com. Retrieved 29 November 2017. ^ Partridge, Kenneth (4 December 2015). "When Do We Say 'Enough's Enough' with The Beatles?". The A.V. Club. ^ Rowe, Matt (18 September 2015). "The Beatles 1 To Be Reissued With New Audio Remixes... And Videos". themortonreport.com. Retrieved 9 October 2015. ^ a b Erlewine, Stephen Thomas. "Review: 1 by The Beatles". AllMusic. United States: Rovi Corporation. Retrieved 2 August 2011. ^ NME (11/11/00, p.33) – 9 out of 10 – "...Undeniable, this is the whole experience of pop unfolding before our very ears..."
^ Q (12/00, pp.140–1) – 4 stars out of 5 – "...Its salutary to hear how people once made music that looked to the future..."
^ Melody Maker (11/21/00, p.60) – 5 stars out of 5 – "...Irresistible....27 Number One singles....This is as much pop culture education on one CD as any music fan needs." ^ Erlewine, Stephen Thomas. "Elv1s: 30 #1 Hits – Elvis Presley | Songs, Reviews, Credits". AllMusic. Retrieved 10 September 2015. ^ Erlewine, Stephen Thomas. "Number Ones – Michael Jackson | Songs, Reviews, Credits". AllMusic. Retrieved 10 September 2015. ^ "A piece of Kurt Cobain". Jimdero.com. Retrieved 10 September 2015. ^ Erlewine, Stephen Thomas. "Nirvana – Nirvana | Songs, Reviews, Credits". AllMusic. Retrieved 10 September 2015. ^ Erlewine, Stephen Thomas. "Forty Licks – The Rolling Stones | Songs, Reviews, Credits". AllMusic. Retrieved 10 September 2015. ^ Erlewine, Stephen Thomas. "The Ultimate Collection – The Who | Songs, Reviews, Credits". AllMusic. Retrieved 10 September 2015. ^ "Dino: The Essential Dean Martin – Dean Martin | Release Info". AllMusic. Retrieved 10 September 2015. ^ Myers, Justin (12 July 2016). "Greatest of the greatest? The Top 10 biggest hits collections revealed". Official Charts Company. Retrieved 17 July 2016. ^ a b Myers, Justin (12 July 2016). "Greatest of the greatest? The Top 10 biggest hits collections revealed". Official Charts Company. Retrieved 13 July 2016. ^ "Top 200 Albums". Billboard 200. Billboard. 2 December 2000. Retrieved 7 April 2018. ^ Mayfield, Geoff (12 October 2002). "Over The Counter". Billboard. 114 (41): 51. ISSN 0006-2510. ^ Mayfield, Geoff (9 December 2000). "Between the Bullets". Billboard. 112 (50): 108. ISSN 0006-2510. ^ Mayfield, Geoff (16 December 2000). "Between the Bullets". Billboard. 112 (51): 96. ISSN 0006-2510. ^ Mayfield, Geoff (23 December 2000). "Between the Bullets". Billboard. 112 (52): 80. ISSN 0006-2510. ^ Mayfield, Geoff (30 December 2000). "Between the Bullets". Billboard. 112 (53): 98. ISSN 0006-2510. ^ Mayfield, Geoff (10 February 2001). "Between the Bullets". Billboard. 113 (6): 92. ISSN 0006-2510. ^ a b "The Beatles Chart History (Billboard 200)". Billboard. Retrieved 2 April 2018. ^ Hiatt, Brian (27 December 2000). "Snoop Dogg Album Found Under Many Trees". MTV News. Retrieved 7 April 2018. ^ "Best-Selling Records Of 2000". Billboard. 113 (6): 64. 10 February 2001. ISSN 0006-2510. ^ The Beatles (30 August 2011). "The Beatles on Facebook". Facebook. Retrieved 2 April 2018. 1, the complete collection of number one hits by The Beatles, is now available to pre-order from iTunes. The 27-song album is digitally remastered and is now available at the special price of $9.99 for a limited period only. ^ a b "Top 200 Albums". Billboard 200. Billboard. 24 September 2011. Retrieved 2 April 2018. ^ a b Caulfield, Keith (14 September 2011). "George Strait Lands Top Debut on Billboard 200, Beatles' 1' Re-enters Top 5". Billboard. Retrieved 14 September 2011. ^ Leopold, Todd (9 September 2011). "El álbum '1' de Los Beatles es número uno de nuevo". Expansión (in Spanish). Retrieved 2 April 2018. ^ Sisario, Ben (6 September 2011). "The Beatles' '1' Album Comes to iTunes for $10". The New York Times. Retrieved 3 April 2018. ^ Caulfield, Keith (15 November 2015). "Chris Stapleton Spends Second Week at No. 1 on Billboard 200 Albums Chart". Billboard. Retrieved 2 April 2018. ^ a b "American album certifications – The Beatles – 1". Recording Industry Association of America. If necessary, click Advanced, then click Format, then select Album, then click SEARCH. ^ "Top Tallies: Top 100 Albums" (PHP). Recording Industry Association of America. Archived from the original on 29 June 2011. Retrieved 2 August 2011. ^ "Week Ending Sept. 11, 2011. Albums: The Beatles Are Back". Yahoo! Chart Watch. 11 September 2011. Retrieved 23 October 2011. ^ a b c Caulfield, Keith (10 October 2014). "Adele's '21' Surpasses 11 Million In U.S. Sales". Billboard. Prometheus Global Media. Retrieved 11 October 2014. ^ Cantin, Paul (22 November 2000). "'Beatles 1' debuts at No. 1 in Canada". Jam!. Archived from the original on 9 July 2012. Retrieved 3 March 2011. ^ a b "Gold & Platinum Certification – February 2001". Canadian Recording Industry Association. Archived from the original on 7 April 2012. Retrieved 3 April 2011. ^ "The Nielsen Company and Billboard's 2009 Canadian Industry Report". Archived from the original on 4 April 2014. Retrieved 3 April 2011. ^ a b "Gold-/Platin-Datenbank (Beatles; '1')" (in German). Bundesverband Musikindustrie. ^ a b c "Australiancharts.com – The Beatles – 1". Hung Medien. Retrieved 23 June 2016. ^ a b c "Austriancharts.at – The Beatles – 1" (in German). Hung Medien. Retrieved 23 June 2016. ^ a b c "Ultratop.be – The Beatles – 1" (in Dutch). Hung Medien. Retrieved 23 June 2016. ^ a b c "Ultratop.be – The Beatles – 1" (in French). Hung Medien. Retrieved 23 June 2016. ^ a b "The Beatles Chart History (Canadian Albums)". Billboard. Retrieved 23 June 2016. ^ a b "Danishcharts.dk – The Beatles – 1". Hung Medien. Retrieved 23 June 2016. ^ a b c "Dutchcharts.nl – The Beatles – 1" (in Dutch). Hung Medien. Retrieved 23 June 2016. ^ a b "The Beatles: 1" (in Finnish). Musiikkituottajat – IFPI Finland. Retrieved 23 June 2016. ^ a b c "Offiziellecharts.de – The Beatles – 1" (in German). GfK Entertainment Charts. Retrieved 23 June 2016. ^ "Top 40 album DVD és válogatáslemez-lista – 2000. 52. hét" (in Hungarian). MAHASZ. Retrieved 23 June 2016. ^ "GFK Chart-Track Albums: Week 46, 2000". Chart-Track. IRMA. Retrieved 23 June 2016. ^ a b "Italiancharts.com – The Beatles – 1". Hung Medien. Retrieved 23 June 2016. ^ 2000年11月第4週の邦楽アルバムランキング情報 [Album Info Week 4 Ranking of Law November 2000] (PHP). Oricon Style (in Japanese). Archived from the original on 4 April 2014. Retrieved 2 August 2011. ^ a b "Charts.org.nz – The Beatles – 1". Hung Medien. Retrieved 23 June 2016. ^ a b "Norwegiancharts.com – The Beatles – 1". Hung Medien. Retrieved 23 June 2016. ^ "Oficjalna lista sprzedaży :: OLiS - Official Retail Sales Chart". OLiS. Polish Society of the Phonographic Industry. Retrieved 23 June 2016. ^ a b "Swedishcharts.com – The Beatles – 1". Hung Medien. Retrieved 23 June 2016. ^ "Swisscharts.com – The Beatles – 1". Hung Medien. Retrieved 23 June 2016. ^ "Beatles | Artist | Official Charts". UK Albums Chart. Retrieved 23 June 2016. ^ "The Beatles Chart History (Billboard 200)". Billboard. Retrieved 23 June 2016. ^ a b c "Spanishcharts.com – The Beatles – 1". Hung Medien. Retrieved 23 June 2016. ^ "The Beatles – 1 (Album)". Mexican Charts. Hung Medien. Archived from the original (ASP) on 30 October 2013. Retrieved 2 August 2011. ^ "Lescharts.com – The Beatles – 1". Hung Medien. Retrieved 23 June 2016. ^ "GFK Chart-Track Albums: Week 36, 2011". Chart-Track. IRMA. Retrieved 23 June 2016. ^ "South Korea Gaon Album Chart". On the page, select "2011.09.04~2011.09.10" to obtain the corresponding chart. Gaon Chart Retrieved 4 May 2015. ^ "South Korea Gaon International Album Chart". On the page, select "2011.09.04~2011.09.10", then "국외", to obtain the corresponding chart. Gaon Chart Retrieved 4 May 2015. ^ "Czech Albums – Top 100". ČNS IFPI. Note: On the chart page, select 201546 on the field besides the word "Zobrazit", and then click over the word to retrieve the correct chart data. Retrieved 23 June 2016. ^ "GFK Chart-Track Albums: Week 46, 2015". Chart-Track. IRMA. Retrieved 23 June 2016. ^ "Top 200 Albums". Billboard 200. Billboard. 28 November 2015. Retrieved 2 April 2018. ^ "Top 100 Album-Jahrescharts" (in German). GfK Entertainment. Retrieved 8 September 2016. ^ "Discos de oro y platino" (in Spanish). Cámara Argentina de Productores de Fonogramas y Videogramas. Archived from the original on 6 July 2011. Retrieved 16 October 2012. ^ Dale, David (10 January 2013). "THE TRIBAL MIND ARCHIVE 2013: The music Australia loved". Sydney Morning Herald. Archived from the original on 15 May 2013. Retrieved 14 April 2013. ^ "ARIA Charts – Accreditations – 2009 Albums". Australian Recording Industry Association. ^ "Austrian album certifications – The Beatles – 1" (in German). IFPI Austria. Enter The Beatles in the field Interpret. Enter 1 in the field Titel. Select album in the field Format. Click Suchen. ^ "Ultratop − Goud en Platina – albums 2007". Ultratop. Hung Medien. ^ "Brazilian album certifications – The Beatles – 1" (in Portuguese). Associação Brasileira dos Produtores de Discos. ^ "Danish album certifications – The Beatles – 1". IFPI Denmark. ^ a b "Beatles The" (in Finnish). Musiikkituottajat – IFPI Finland. ^ "French album certifications – The Beatles – 1" (in French). Syndicat National de l'Édition Phonographique. ^ "Official IFPI Charts – Top-75 Albums Sales Chart – Week: 24/2013". IFPI Greece. Archived from the original on 24 September 2013. Retrieved 26 June 2013. ^ "The eternal desire of the dream pop". Retrieved 23 June 2012. ^ "Italian album certifications – Beatles – 1" (in Italian). Federazione Industria Musicale Italiana. Select "Tutti gli anni" in the "Anno" drop-down menu. Select "1" in the "Filtra" field. Select "Album e Compilation" under "Sezione". ^ "The Record > February 2001" (PDF). Recording Industry Association of Japan (in Japanese). Archived from the original (PDF) on 16 January 2014. Retrieved 3 January 2013. ^ "Dutch album certifications – The Beatles – 1" (in Dutch). Nederlandse Vereniging van Producenten en Importeurs van beeld- en geluidsdragers. Retrieved 27 February 2019. Enter 1 in the "Artiest of titel" box. ^ "Norwegian album certifications – The Beatles – 1" (in Norwegian). IFPI Norway. ^ "Polish album certifications – The Beatles – 1" (in Polish). Polish Society of the Phonographic Industry. ^ "Portuguese album certifications – The Beatles – 1" (in Portuguese). Associação Fonográfica Portuguesa. 2000 sales: ":: 한국음반산업협회 ::". Archived from the original on 16 June 2007. 2001 sales: ":: 한국음반산업협회 ::". Archived from the original on 16 June 2007. 2002 sales: ":: 한국음반산업협회 ::". Archived from the original on 18 March 2009. 2003 sales: ":: 한국음반산업협회 ::". Archived from the original on 17 July 2007. 2004 sales: "2004년총결산 POP음반 판매량집계". Archived from the original on 13 February 2009. November 2006 sales: "11월 POP음반 판매량집계". Archived from the original on 16 March 2009. 2008 sales: "무제 문서". Archived from the original on 12 November 2008. "Gaon Chart: Online download (Foreign) – 2011". Gaon Chart. Korea Music Content Industry Association. "Gaon Chart: Online download (Foreign) – 2012". Gaon Chart. Korea Music Content Industry Association. "Gaon Chart: Online download (Foreign) – 2013". Gaon Chart. Korea Music Content Industry Association. ^ "Spanish album certifications – The Beatles – 1" (PDF) (in Spanish). Productores de Música de España. Select album under "Chart", enter the certification year in the field "Year". Select the certification week in the field "Semana". Click on "Search Charts". ^ "Guld- och Platinacertifikat − År 2000" (PDF) (in Swedish). IFPI Sweden. ^ "The Official Swiss Charts and Music Community: Awards (The Beatles; '1')". IFPI Switzerland. Hung Medien. ^ "British album certifications – Beatles – 1". British Phonographic Industry. Retrieved 15 September 2013. Select albums in the Format field. Select Platinum in the Certification field. Type 1 in the "Search BPI Awards" field and then press Enter. ^ "IFPI Platinum Europe Awards – 2007". International Federation of the Phonographic Industry.